Directions: From I-70 head south on 24 through Minturn, along the edge of the canyon and over the bridge at Red Cliff. Shortly after the bridge, turn right (west) on Homestake Road. From Leadville take 24 north and turn left (west) on Homestake Road. Follow Homestake Road on a good dirt road for about 7.5 miles. 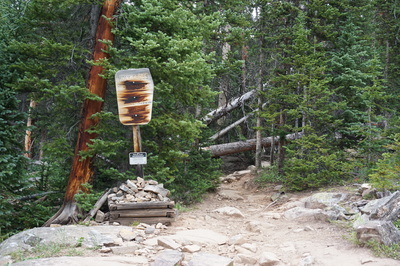 Turn right at the sign for Missouri Creek Road. From here the road gets a bit bumpier and steep in spots. SUV is recommended but low clearance cars can make it if you are careful. 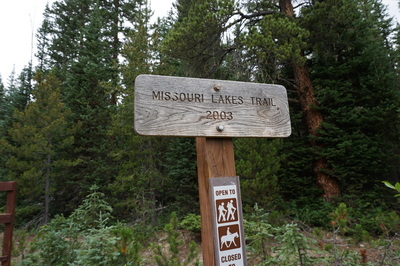 Missouri Creek Road leads to a "T", left is the Missouri Lake Trailhead, right is the Fancy Pass Trailhead. 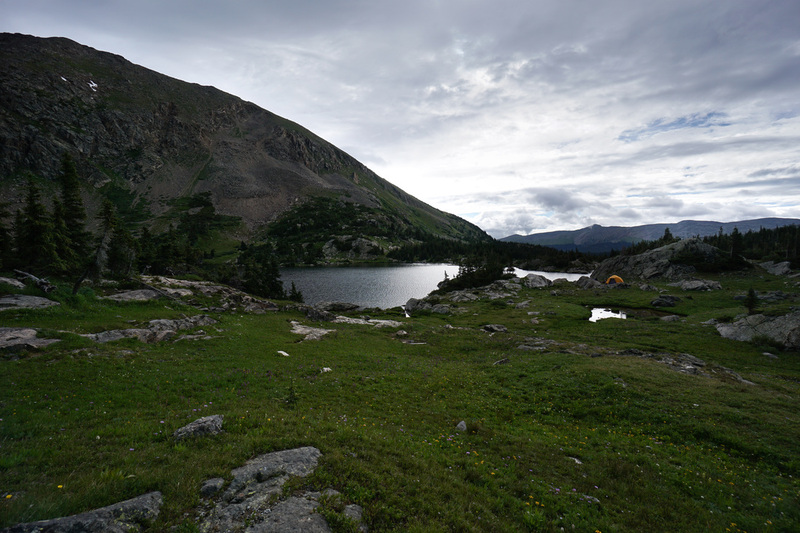 Parking is plentiful. 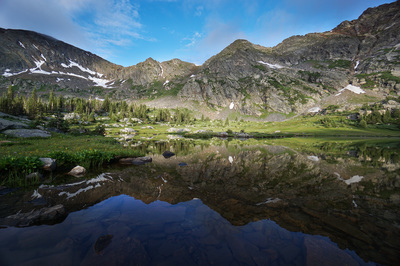 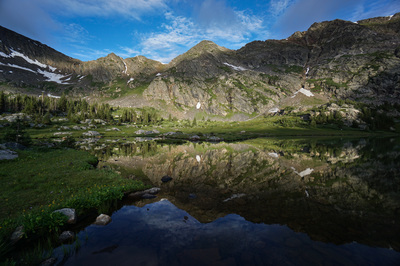 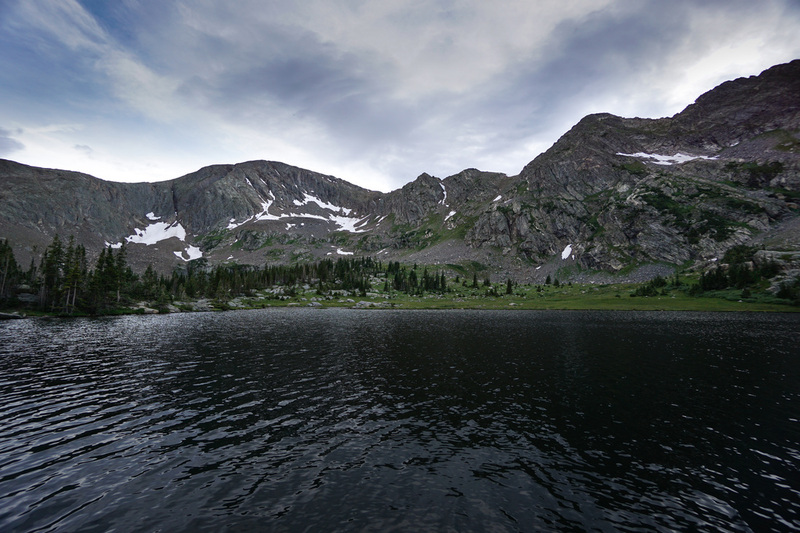 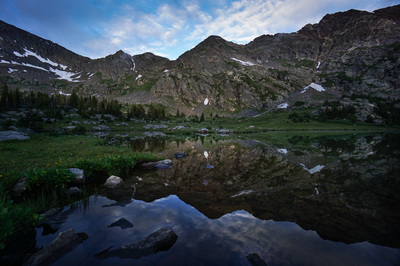 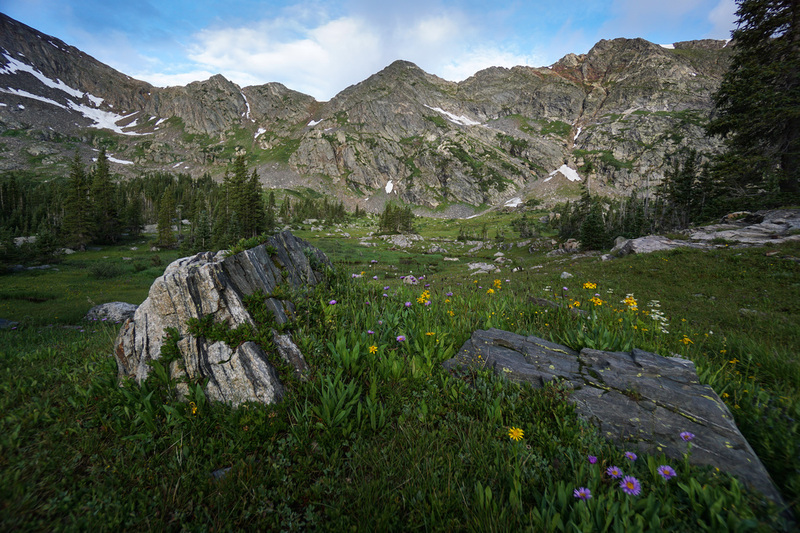 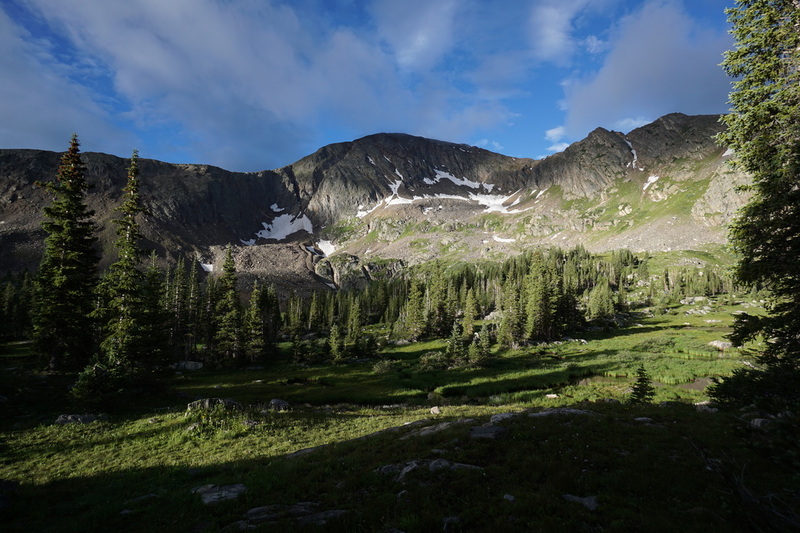 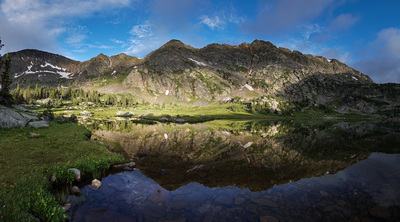 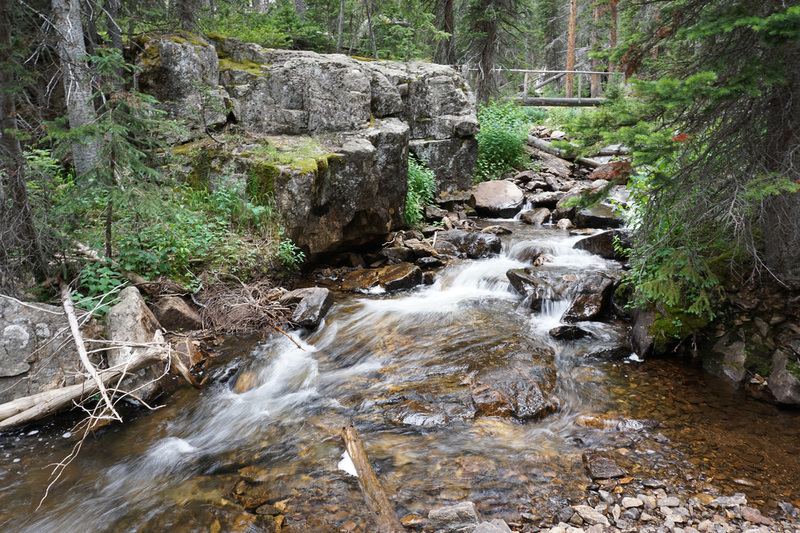 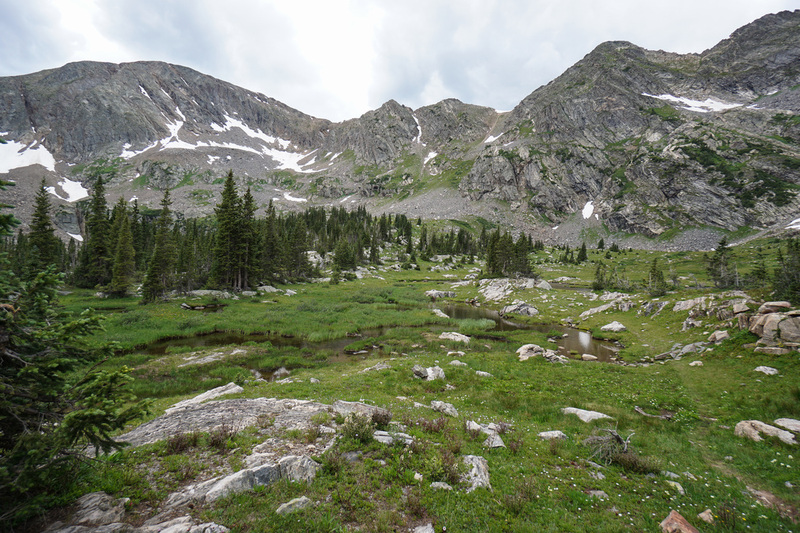 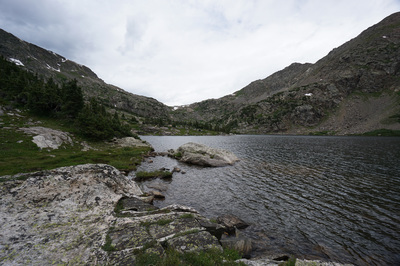 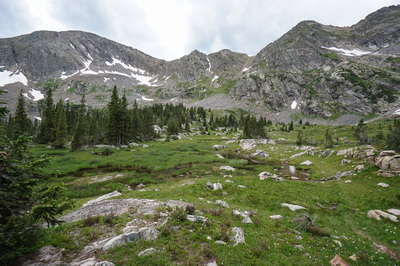 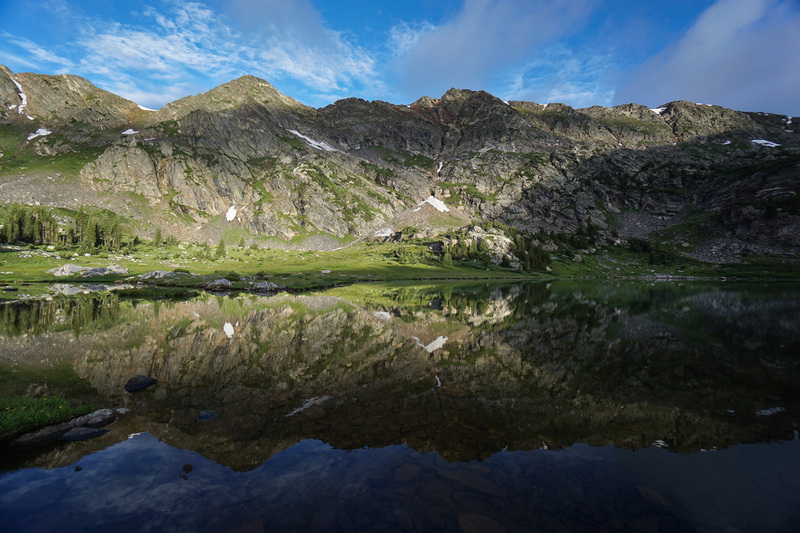 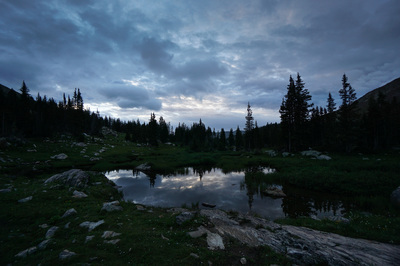 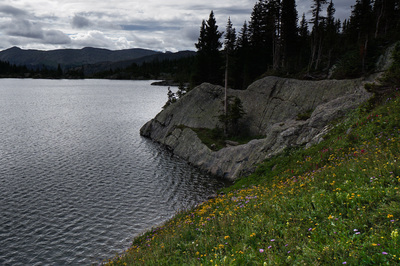 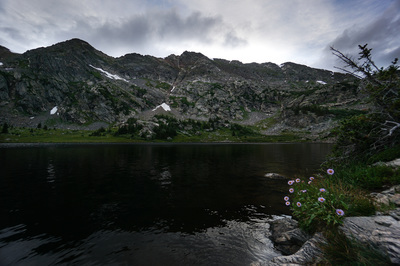 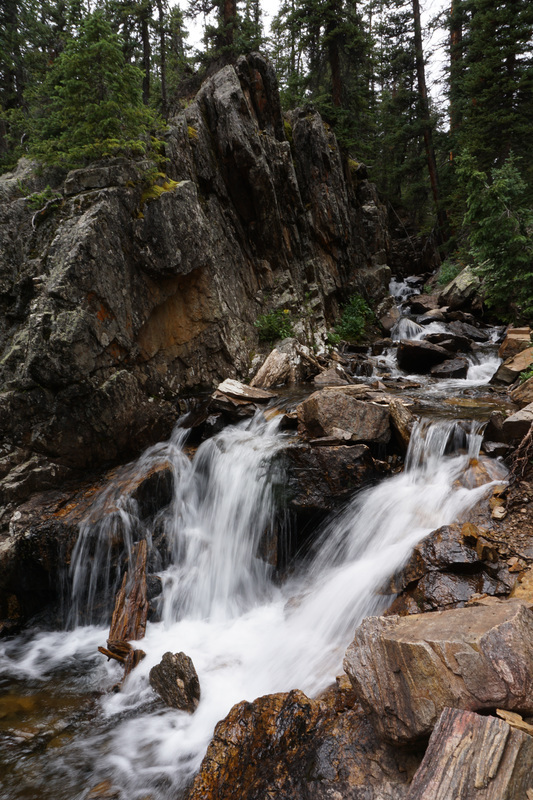 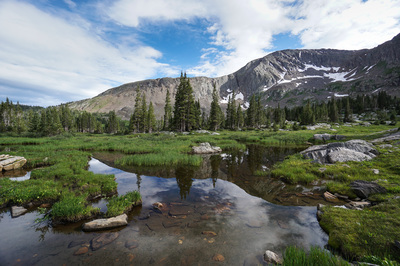 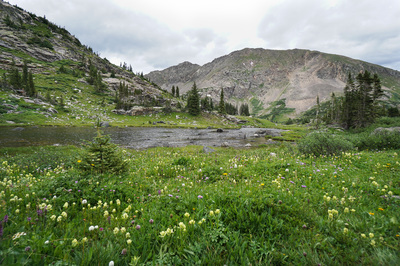 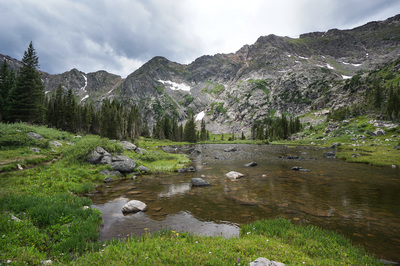 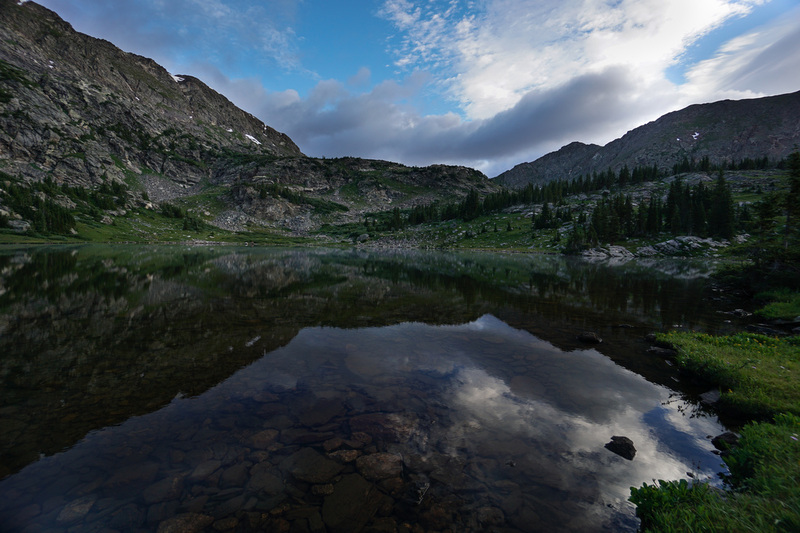 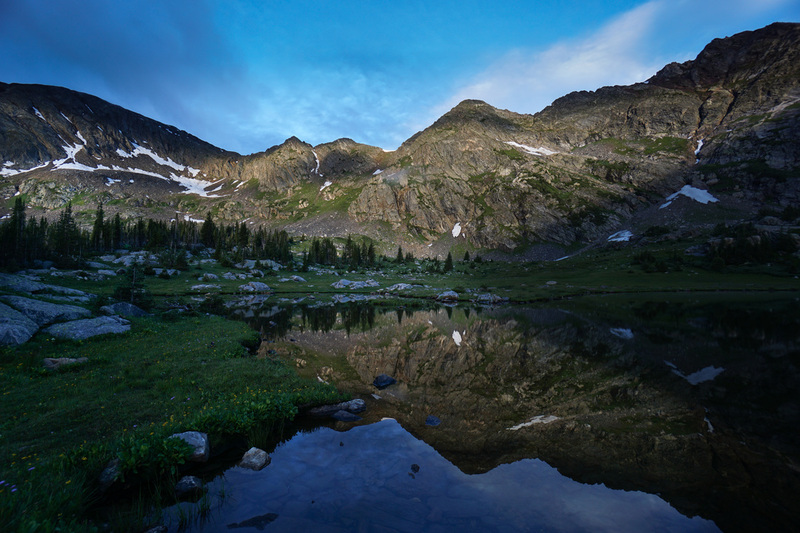 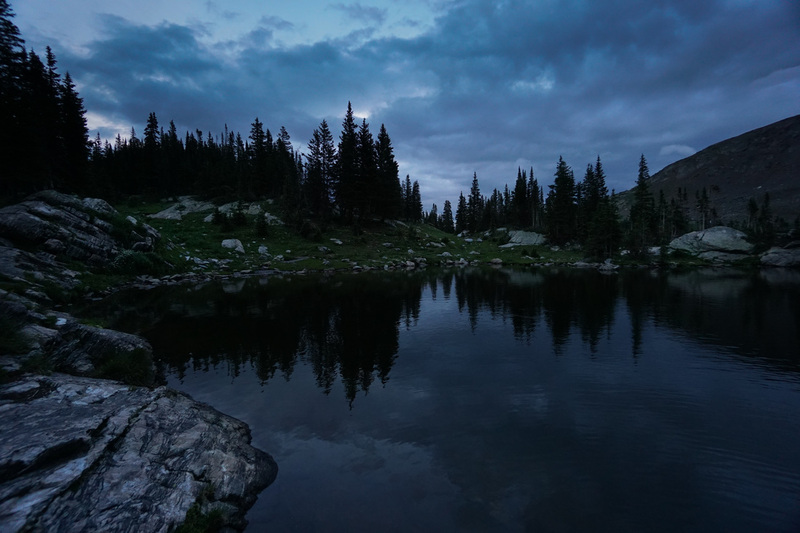 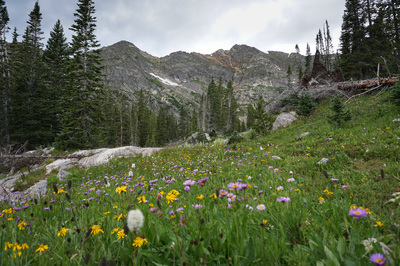 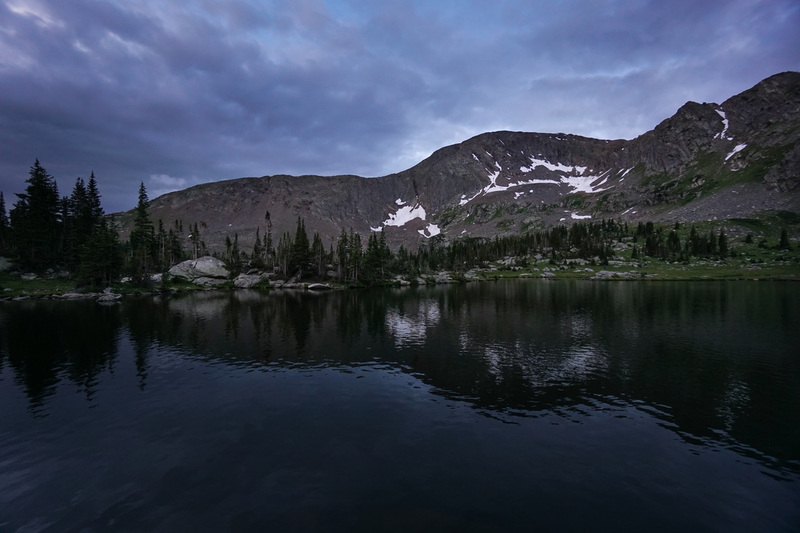 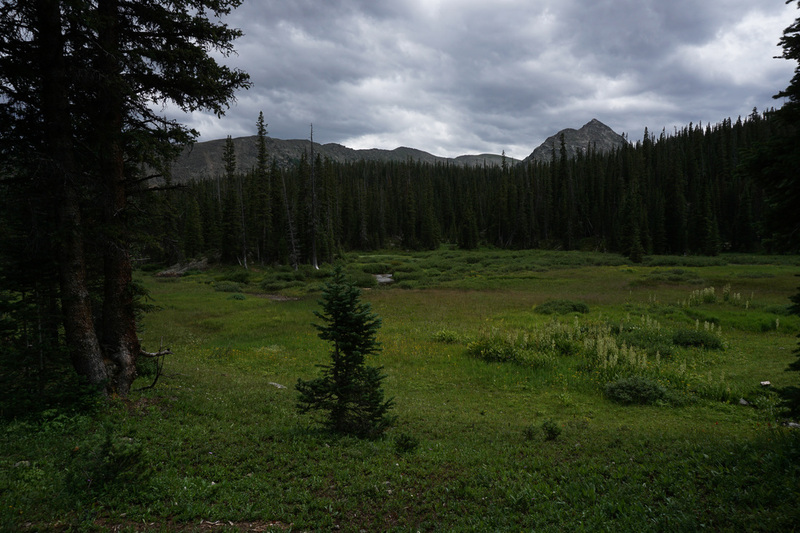 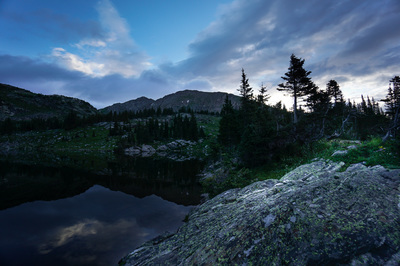 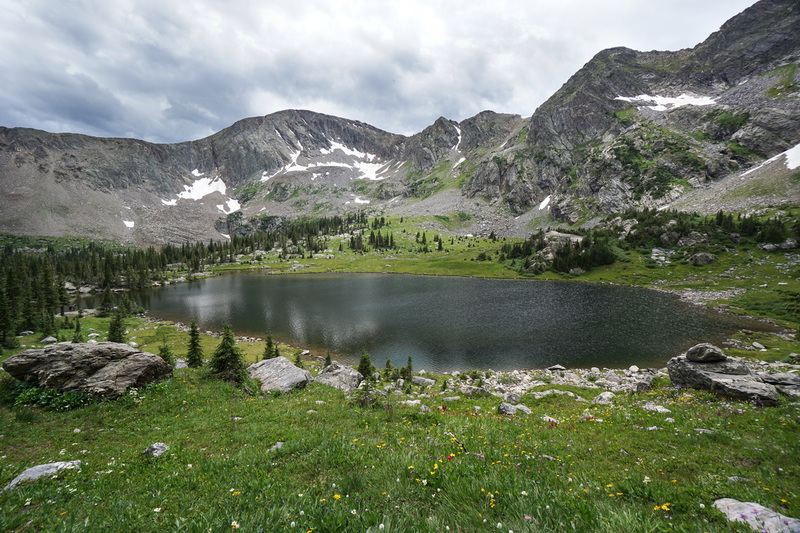 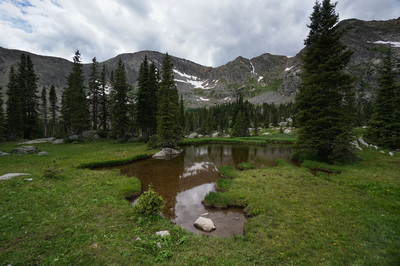 The Missouri Lakes are a popular day hiking and camping location in the heart of the Holy Cross Wilderness. 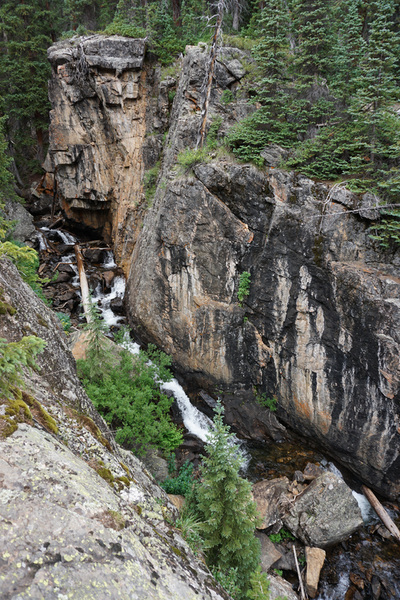 Easy access and a short but steep hike tend to bring out the crowds on Summer afternoons. That being said, the lakes are beautiful and the basin that they rest in is astonishing. 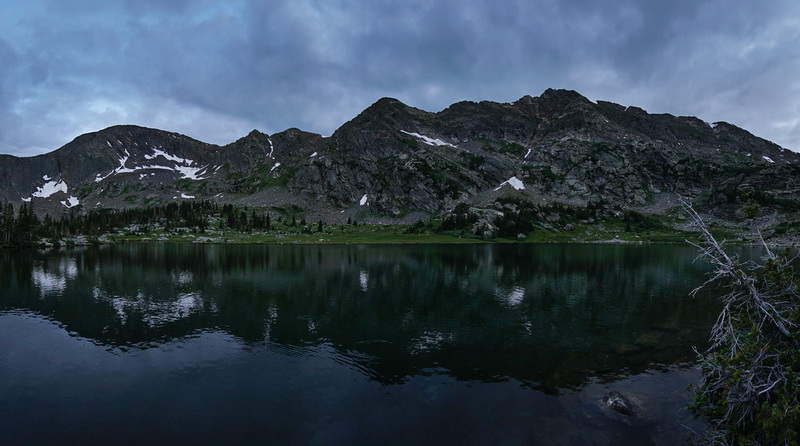 If you have the time and inclination I highly recommend camping at the lakes and making the climb up to Missouri Pass for an incredible view back down the basin. A 9 mile loop can be made by climbing over Missouri Pass and Fancy Pass. From the Missouri Lakes Trailhead follow the wide path through the forest and up the steep old dirt road to a pond, culvert, and Wilderness boundary. 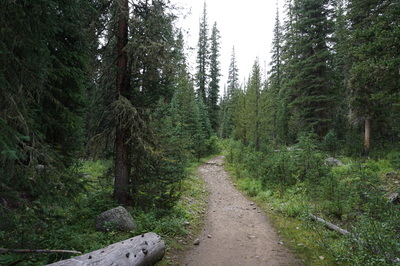 From here the trail climbs steadily through dense forest following Missouri Creek. 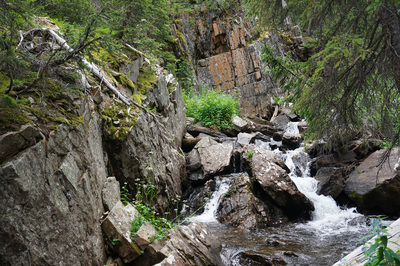 Missouri Creek is amazing in spots as it carves a narrow deep gorge through the black and orange rock. About half way up you'll skirt a flat meadow where the creek meanders and wildflowers thrive. 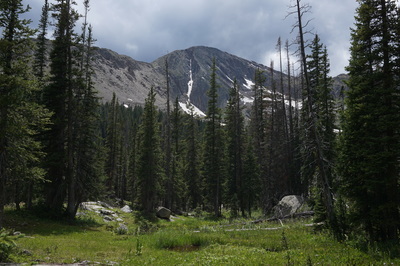 This will be your first view of Savage Peak and it's surrounding ridge. 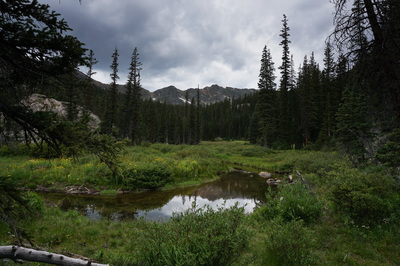 Continue through the forest along a rocky trail until you arrive at a flat area with soaring peaks and numerous ponds and wetlands. 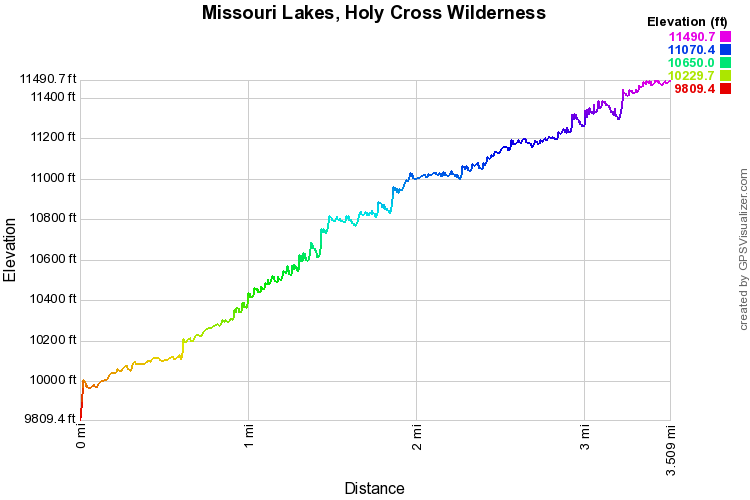 Just beyond this area is the lower Missouri lake. This lake is tremendously beautiful and makes for a great camping area. 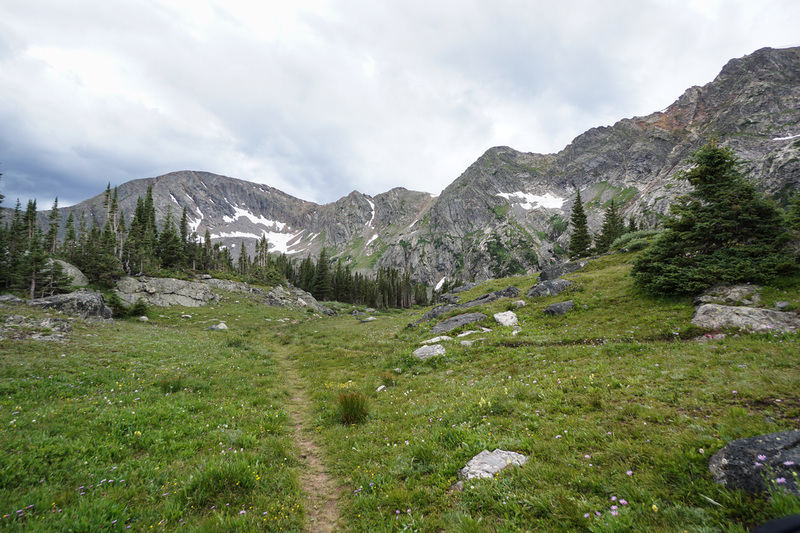 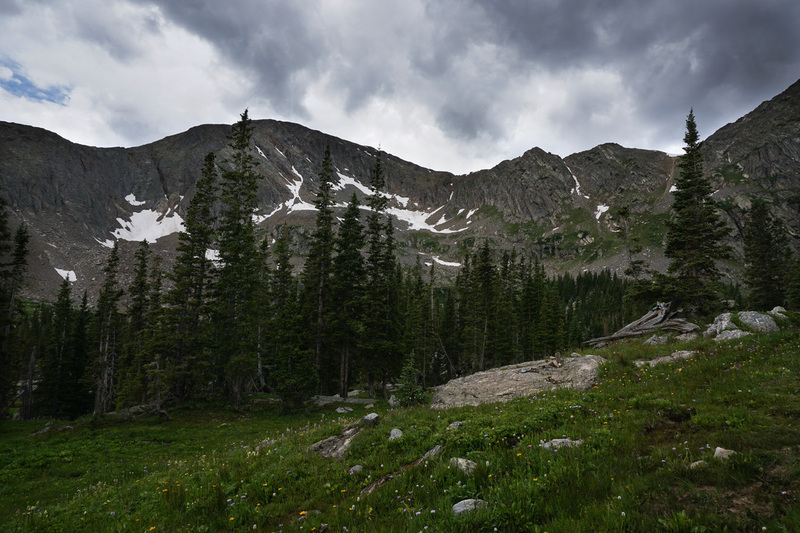 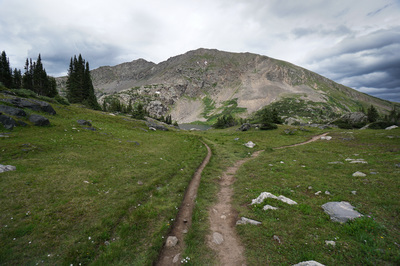 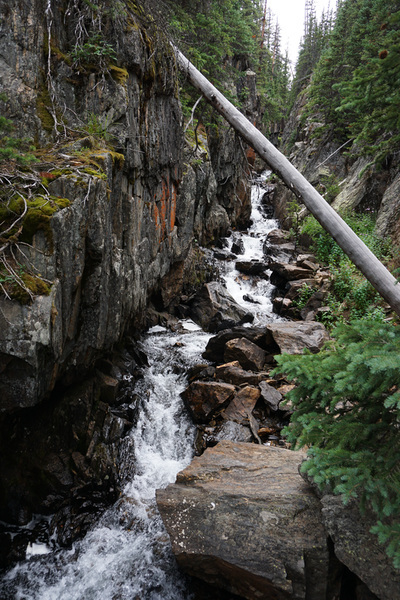 Continue up the trail to the Upper lake and views of Missouri Pass. The upper lake is more exposed but has a nicer shoreline lined with wide flat rocks that makes for a great lunch spot. 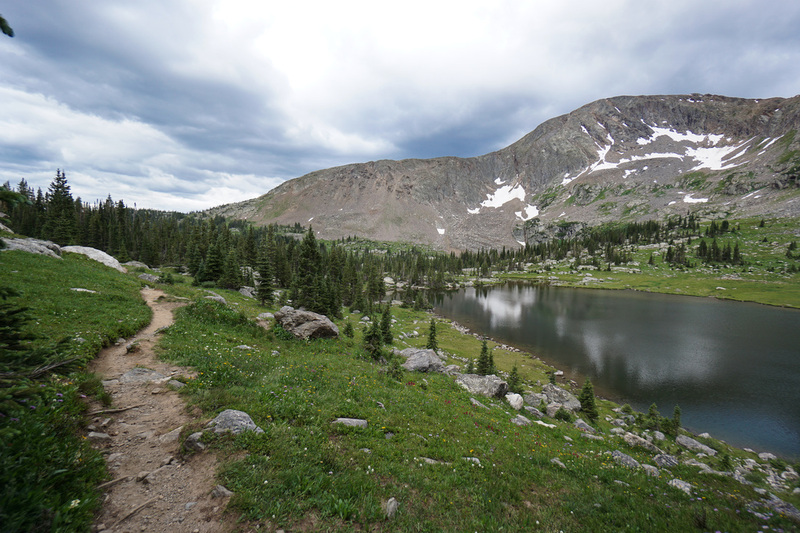 The views back down the basin from here are wonderful, but continuing up the trail leads to even better views. There are more ponds and cascades up the basin and the additional hike is well worth your time and effort. 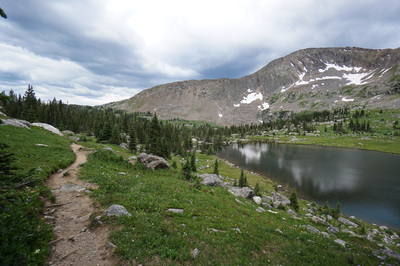 Even if you just stay at the lakes, this is one of the prettier hikes in the area. 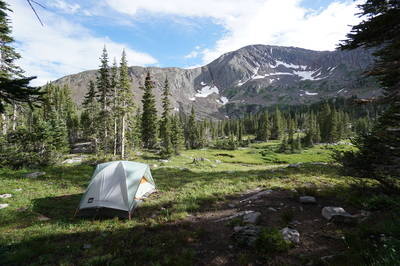 Whether you camp or day hike, you're in for a treat and a great adventure.